Disney Cruise Line is excited to announce that the popular Royal Court Royal Tea experience, which until recently was only available aboard the Disney Fantasy, is expanding and will now be available on all four Disney Cruise Line ships. That means you can also experience it on the Disney Dream, Disney Wonder and the Disney Magic! This whimsical teatime features a fanciful menu, including a selection of herbal teas and two delicious course – one sweet and one savory. Every child receives a distinguished assortment of gifts as a keepsake of their experience. 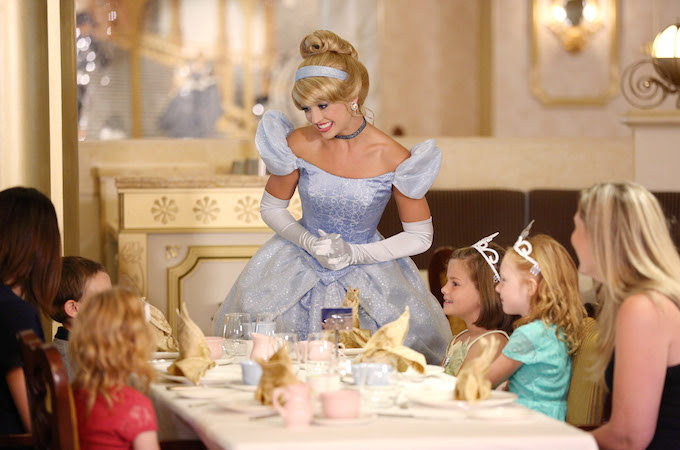 The cost for Royal Court Royal Tea is $210 for children and $69 for adults. On the Disney Dream, Guests can already enjoy this experience at Royal Palace on all 4-night sailings. The offering will be extended to all 3-night sailings of the Disney Dream beginning Nov. 4, 2016. Royal Court Royal Tea will be offered on the Disney Wonder at Triton’s on all itineraries beginning Nov. 10, 2016. And, the experience will be offered on the Disney Magic at Lumiere’s on all itineraries beginning Dec. 11, 2016. The Royal Court Royal Tea option will be available to book at DisneyCruise.com under “My Cruise Activities” once your cruise is paid in full and/or if you are under your booking window for activities. To book your Disney Cruise, use our quote form or email heather@beourguestdestinations.com today! Be a part of A Celebration of Harry Potter™ at Universal Orlando Resort™. It’s the only official event where you can celebrate your love for Harry Potter™ and discover more about the Wizarding World. Take part in film talent Q&A sessions, access special panels and demonstrations, and discover many more surprises. Set against the backdrop of Universal Orlando’s amazing theme parks, you’ll explore The Wizarding World of Harry Potter™ – Hogsmeade™ at Universal’s Islands of Adventure™ and Diagon Alley™ at Universal Studios Florida™. With park-to-park admission, you can even ride the Hogwarts™ Express to travel between both lands. Dine at the Leaky Couldron™ and the Three Broomsticks™, see a wand choose a wizard at Ollivanders™, then experience Harry Potter and the Escape from Gringotts™, Harry Potter and the Forbidden Journey™ and other thrilling attractions. Packages are EXTREMELY LIMITED! To book your Celebration of Harry Potter package, use our quote form or email heather@beourguestdestinations.com.